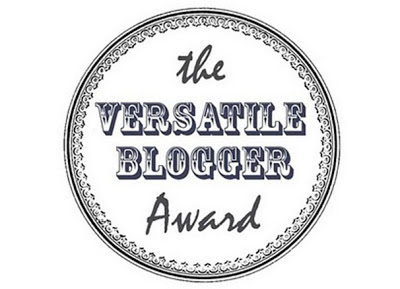 We got nominated for the Versatile Blog Award!!! It's our first award so we appreciate this so much. Carry on reading to find out who nominated us and who we want to nominate next! So first of all we need say a big thanks to Gabrielle from The Gift of Gab for nominating us! She has an amazing blog so be sure to check it out. Nominate those 15 bloggers for the Versatile Blogger award and let them know by commenting on their blogs (you might want to include a link back to the post on your site announcing their nomination). We are all in year 9 - we go to the same school. Holly and Aleeha hate all berries! Lucy and Eleanor love all things related to the internet! Holly is one talented artist (currently persuading her to post her amazing drawings on the blog). We all love and have different tastes in music - check out our spotify! These are some of our favourite blogs to read currently so if you haven't already, check their blogs out, you need to!